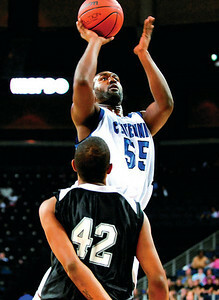 Centennial's Delonte Doles braces himself for a foul from Sprayberry as he goes for the lay up last Thursday night. 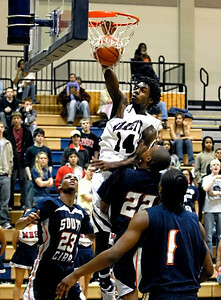 Centennial's Delonte Doles takes advantage of a fast break for the lay up against Sprayberry last Thursday night. 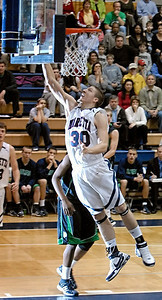 Marietta's J.C. Ward goes for the lay up Tuesday night against Harrison. 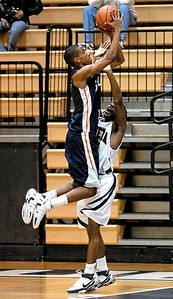 Marietta's Deandre Cannon takes a clear shot against Harrison Tuesday night. 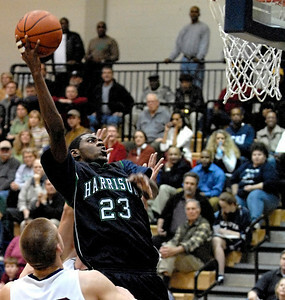 Harrison's Vince Martin prepares himself for a dunk against Marietta Tuesday night. 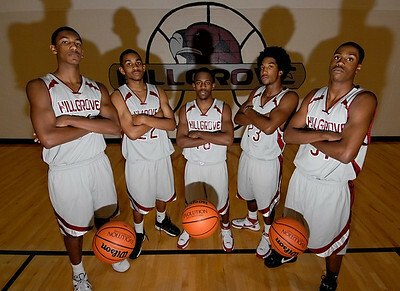 From left, Hillgrove's starting five: Heath Houston, Darius Baugh, Kelton Buchanan, Millan Rodrigo, and Jamaal Pryor. 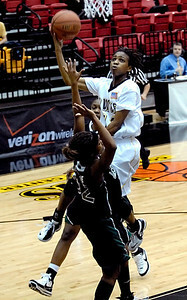 KSU's Greteya Kelley (11) takes a shot against Jacksonville's Virginia Gregoire (32) Monday night. 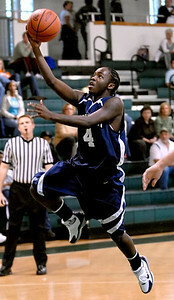 Wheeler's Tahj Tate (12) guides the ball into the hoop against Northview Thursday night. 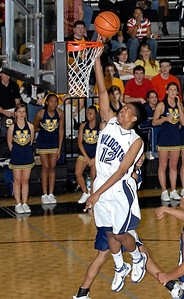 Wheeler's Phil Taylor hovers in the air before making his shot Thursday night against Northview High School. Wheeler's Tahj Tate takes the ball to the hoop Thursday night against Northview. 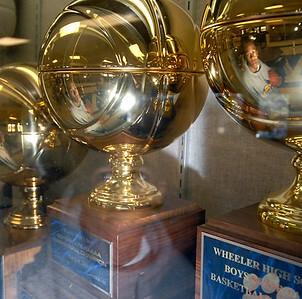 Phil Taylor looks at past state basketball trophies in hopes of earning one this year for Wheeler High School. 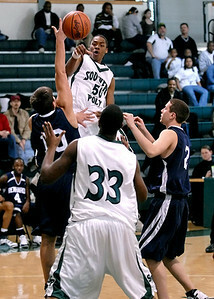 SPSU's freshman Tyrese Mumford (50) makes a pass to teammate Tony Foster Saturday afternoon as they go up against Reinhardt College. South Cobb's Richard Connor (23), Ant Davis (22), and Donterius Sutton (1) can do nothing but watch as Marietta's Barrington Ferguson (14) completes a dunk against them Tuesday night. 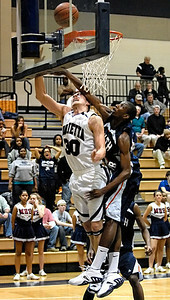 Marietta's J.C. Ward (30) takes a shot and gets the foul from South Cobb's Jacob Pettway (33) Tuesday night. 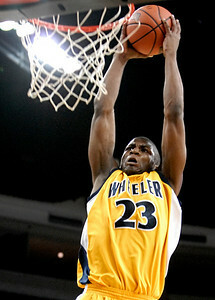 Wheeler's Dequan Jones goes up for the dunk against Hiram at the Arena at Gwinnett Center during the State Basketball Semifinals. 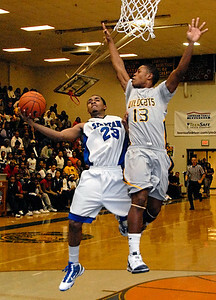 Wheeler's Phil Taylor goes for the shot against Norcross during the battle for the state title. Senior Alex Richey goes for the drive against M.L. King's Matthew Priestley Thursday night during the state semi-finals. 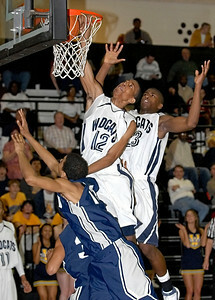 Leonard Carr leaps above Greg Henry to make another basket Thursday night. 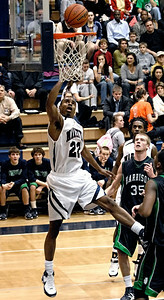 Lorenzo Brown battles his way to the hoop against Norcross Friday night. 1-09-09 --campbell at lassiter 3-- Campbell's John Massie (25) gets blocked by the defense of Lassiter's Daniel Garza (11) and Phillip Lutzenkirchen (42). PHOTO BY LAURA MOON. 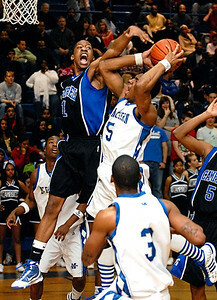 03-03-10 --campbell at mceachern 01-- McEachern's Marquis Roberts (5) goes up for the basket and draws the foul from Campbell's Roderick Perkins (1) on Wednesday night. STAFF/LAURA MOON. 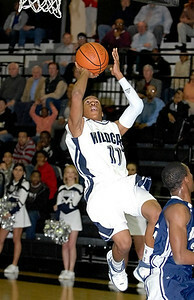 3-07-09 --norcross at wheeler 1-- Wheeler's Ari Stewart goes up for the dunk against Norcross on Saturday night. PHOTO BY LAURA MOON. 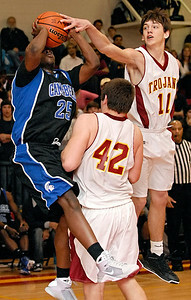 02-09-10 --wheeler at campbell 05-- Campbell's Justin Seymour (23) goes up against Wheeler's Derrick Frye (13) on Tuesday night. STAFF/LAURA MOON. 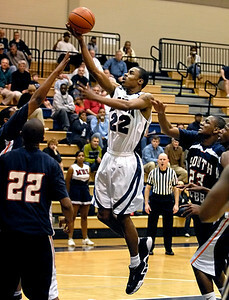 12-13-08 --osborne at hillgrove 2-- Osborne's Devonte Thornton, center, attempts a shot through Hillgrove's defense on Saturday night. PHOTO BY LAURA MOON. 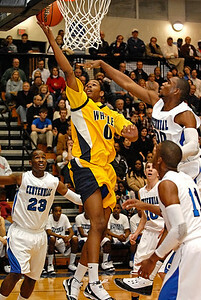 12-11-09 --wheeler at centennial 01-- Wheeler's Jelan Kendrick (0) takes the ball to the net between Centennial defenders on Friday night. STAFF/LAURA MOON.